I only met Margaret a couple of times yet felt a strong soul connection. She too believed in Angels and her love of feeding / caring for others and making them feel special was evident in that short connection. She and her family became the surrogate family for my SO (Significant Other) and his son for more than a decade. Her son and his are best buddies and I have no doubt she smiles in heaven every time she sees them together still. 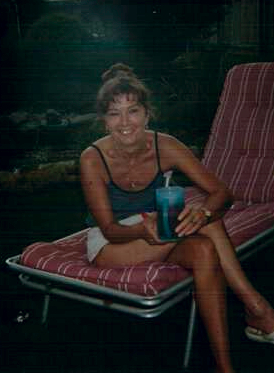 On the day she suddenly passed away from a heart attack after just finding out her cancer was in remission... I reread her previous joyful email and sensed this joy was the last emotion she felt in her physical form. 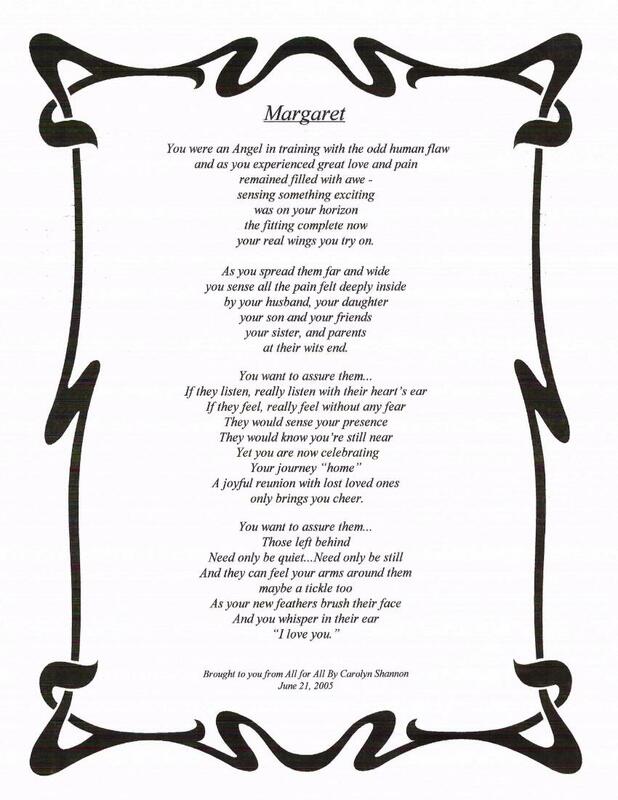 I felt guided by her to write this to her family and loved ones for her Celebration of Life Service..
After a courageous battle with cancer Margaret (Harfitt) Hunt of Niagara Falls died on Saturday June 18, 2005, in her 59th year.